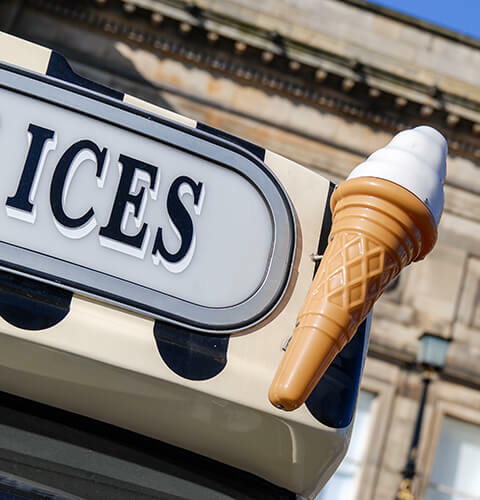 As part of the ChoiceQuote Commercial Motor range of products, we can offer competitive insurance solutions for mobile ice cream vendors with refrigerated vans. As a mobile business selling frozen products, you will be reliant on your van and equipment to carry out your trade. Without either, you could be left very much out in the cold both in terms of your business and income. This specialist insurance range not only protects your vehicle but also covers the liabilities you are exposed to when carrying out your trade. Ice cream vendors and refrigerated van owners. Even if you don’t have any no claims discount we can still help, although we would expect to see you have been trading for 12 months. We can also help even if you have had a claim. Our specialist van team can give advice on the best covers to suit you and your ice cream business. As a broker, we work with our insurers to discuss your business in detail and get you a tailored quote. Call us on 0800 440 2177, request a call back or email us at [email protected].